Lighting is an important element of an attractive landscape. It illuminates the surrounding space while creating a more lively, uplifting atmosphere in the process. Unfortunately, many homeowners neglect to include lighting in their landscape, resulting in a dark and gloomy mood. You can revitalize your landscape, however, by updating it one of the five following lighting solutions, all of which are perfect to use in a landscape. Also known as a solar lantern, a solar lamp is a light fixture that’s powered by sunlight. Solar lamps typically consist of one or more photovoltaic (PV) cells that collect and convert sunlight into electricity, which is then used to power a light-emitting diode (LED) bulb. Because of their energy-efficient properties and inexpensive price, solar lamps are an excellent lighting solution to consider for your landscape. 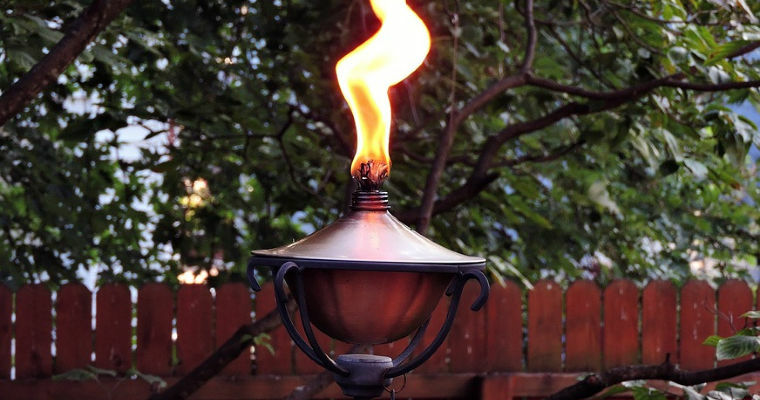 Tiki torches are a popular outdoor lighting solution among homeowners. Consisting of a long bamboo shaft affixed with wick, they produce natural light when lit. You can line your driveway, sidewalk, lawn or other areas with tiki torches to create a relaxing, well-illuminated atmosphere. The only downside is that tiki torches require fuel to operate. A more modern lighting solution to consider for your landscape is string lights. You can run them from across the top of your patio, trees or other areas of your landscape to illuminate and uplift the atmosphere. Keep in mind, string lights are used more for aesthetics and less for lighting. They’ll still produce some light but not as much as the other solutions listed here. There are also LED spotlights with which you can illuminate your landscape. When compared to other lighting solutions, LED spotlights are among the most energy efficient. They consume less energy than other common types of lighting solutions, including both compact fluorescent lams (CFLs) and incandescent. And with their adjustable design, you can position LED spotlights to focus on key elements of your landscape, such as trees, flowerbeds or your front door. Freestanding area lights look like outdoor patio heaters, consisting of a long pole with a canopy on top that projects light. Of the five lighting solutions listed here, freestanding area lights are the most expensive. But if you’re willing to spend the money, you’ll find that they produce a substantial amount of light for your landscape. The Woodsman Company offers tree planting, tree pruning and shrub trimming, tree removal and stump grinding as well as a tree wellness program. 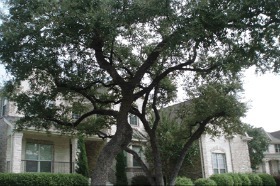 Now a days, tree care service is required to maintain our tree and to give a unique look to our landscape. This is really important to take care of our landscape by the steps mentioned in this blog. Keep sharing. 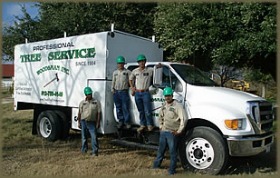 Proudly serving Williamson County and Travis County and the surrounding areas including Round Rock, Georgetown, Hutto, Pflugerville and Taylor, TX. Why Did My Lawn Turn Yellow After Fertilizing?